Reassurance shield as 7 joins 3. 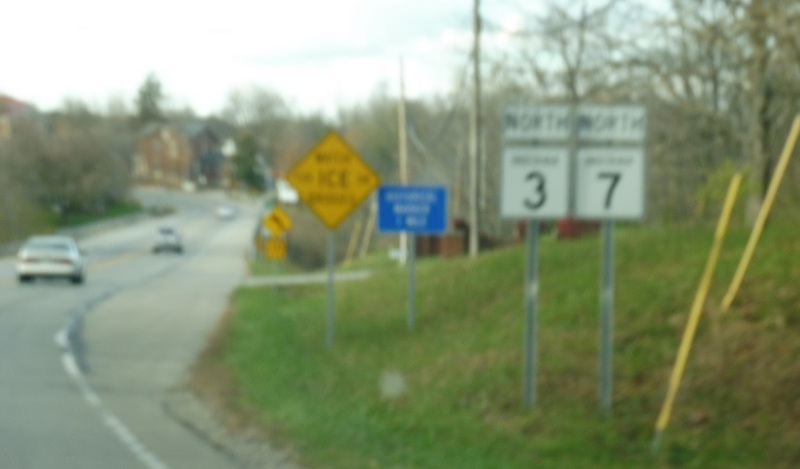 Just after the two routes merge, we’ll enter Vernon. 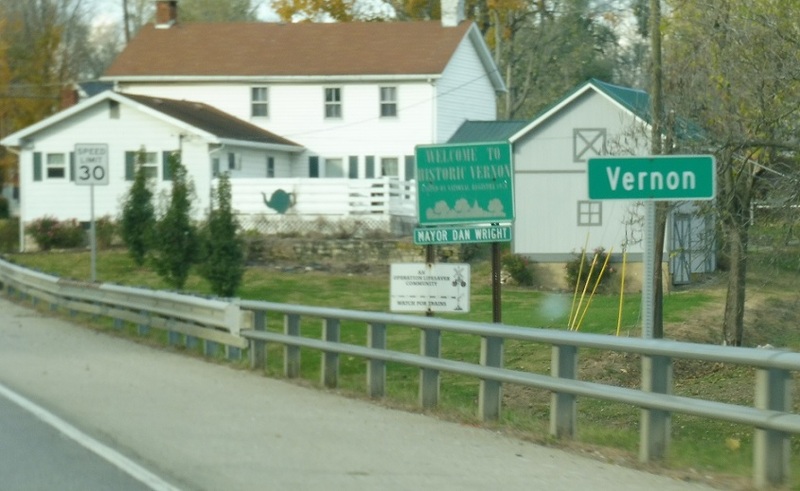 A few blocks later, we’ll enter North Vernon and approach US-50. 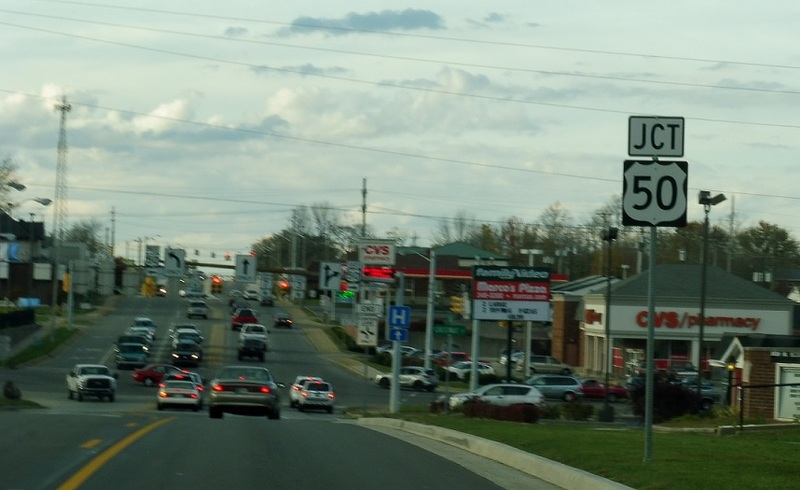 Turn left for 50 west and right for 50 east. 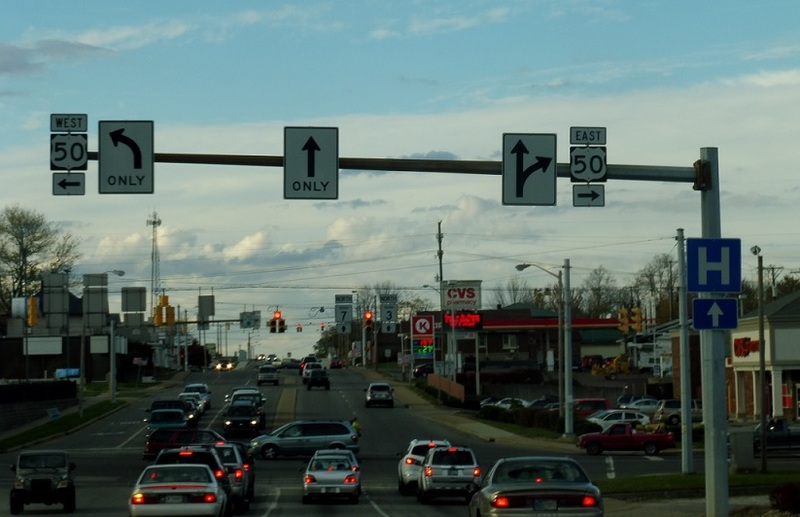 Stay straight for 3/7 north.